Tonio Borg (born 12 May 1957) is a Maltese politician who was the European Commissioner for Health and Consumer Policy replacing John Dalli as member of the College of the European Commission in the second Barroso Commission. Borg is ultra-conservative and a Roman Catholic. Borg studied law at the University of Malta. As a university student he was active in the Maltese Christian Democrat Student organisation and a member of the University Students' Council. He was also a member of the youth section of the Nationalist Party holding various posts including that of President and Secretary General. Borg graduated as a Doctor in Laws in 1979. He was called to the bar in 1980, practicing law for fifteen years, specialising in human rights cases. Between 1990 and 1995 he served as member of the European Committee for the Prevention of Torture. 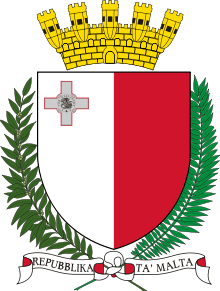 Borg holds the post of lecturer in public law at the University of Malta. He was also a Director of Mid-Med Bank (nowadays HSBC Bank Malta) between 1987 and 1992. Borg was first elected to the House of Representatives in the 1992 general election in the interest of the Nationalist Party. During this period as a backbencher he was also member of the Council of Europe Parliamentary Assembly (1992–95), board member of the Maltese Planning Authority (1992–95) and member of the Joint Parliamentary Committee between the European and Maltese parliaments (1992–95). He was appointed Minister of Home Affairs in April 1995, serving until October 1996 when his Party was voted out of office in the general election of that year. In opposition, Borg was appointed Party Spokesman for Home Affairs from October 1996 to September 1998 and again a member of the Joint Parliamentary Committee between the European and Maltese parliaments (1996–98). 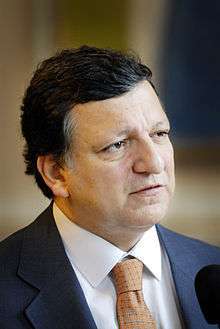 Following his party's victory at the 1998 general election, Borg returned to his previous post as Minister of Home Affairs. This portfolio included, amongst other things, local government, environment and urban planning and management of state properties. He was also responsible for immigration at the time when a large number of irregular migrants started arriving by boat from Libya. 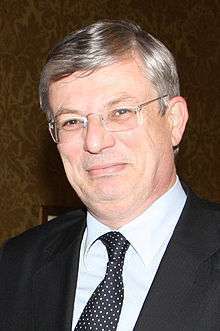 Justice was added to Borg's portfolio in April 2003, following his Party's second electoral success in that year's election. When Lawrence Gonzi succeeded Edward Fenech Adami as Prime Minister and Party Leader, Borg successfully contested the post of Deputy Leader of the Nationalist Party in March 2004. In light of this he also became Deputy Prime Minister, while remaining Minister of Justice and Home Affairs. Borg also served as Leader of the House of Representatives at that time. In March 2008, following the Nationalist Party's third electoral success, Borg was appointed Minister of Foreign Affairs and Deputy Prime Minister. He was also reconfirmed as Leader of the House of Representatives, a post he held until 6 January 2012. Following the resignation of his successor, he re-assumed the post of Leader of the House of Representatives later that year. In view of his appointment as European Commissioner, Borg resigned his post of Deputy Leader of the Party, Deputy Prime Minister, Minister of Foreign Affairs and as a Member of Parliament. Borg's political views have been described as Christian Democratic inspired by Catholic social teaching. He had proposed to entrench into the Maltese Constitution the sections of the law banning abortion (a criminal offence in Malta). Following the resignation of John Dalli as European Commissioner for Health and Consumer Affairs, the Maltese Government nominated Borg for the post. Borg's nomination was the cause of some controversy due to his political views and he was subject to some tough questioning during his hearing by the Members of the European Parliament. However, the Parliament still voted for his appointment on 21 November and he was formally appointed to the post by the European Council. Borg was sworn in as European Commissioner for Health and Consumer Affairs on November 28, 2012. As Commissioner, Borg successfully piloted the Tobacco Products Directive through the European Parliament and the Council and in May 2014 WHO awarded him a Certificate of Appreciation in recognition of his contribution to tobacco control. He also addressed, as promised in his hearing the issue of discrimination in the health sector and re-launched the Cultivation Proposal allowing member states to decide on certain grounds to reject the cultivation of GMO`s on their territories. He also introduced a ban on marketing in the EU of animal tested cosmetics. ↑ "Official: Tonio Borg nominated European Commissioner - to stay on as minister until confirmation process is concluded". Times of Malta. ↑ "European Humanist Federation - Opposing Tonio Borg's nomination as EU Commissioner". humanistfederation.eu. ↑ "New Cabinet sworn in", Times of Malta, March 12, 2008. ↑ "Plans for abortion law to be entrenched in Constitution". Times of Malta. May 7, 2013. Retrieved November 13, 2016.